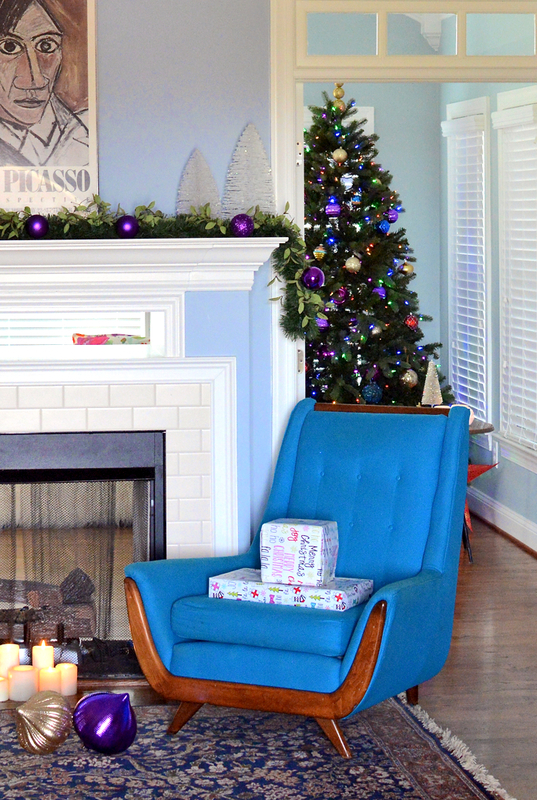 Design Addict Mom: Getting Creative for the Holidays With Catamount TwistTail Cable Ties. Getting Creative for the Holidays With Catamount TwistTail Cable Ties. I enjoy finding creative ways to use simple items. I never thought I would be writing a post about cable ties but these are no ordinary cable ties. I've used cable ties in the past and it can be so frustrating to cut them even with scissors. The ones I showcase today are the Catamount TwistTail Cable Ties available at Home Depot. They are breakable so no struggling to cut them with scissors! 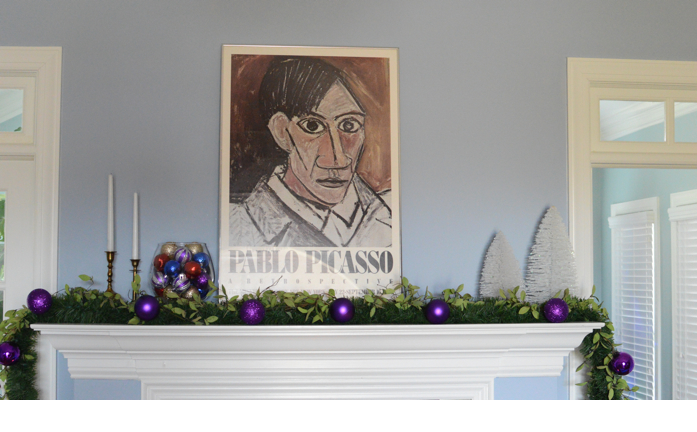 I like the look of a full garland with a pop of color. In the image above, it shows the steps using the cable ties. I first doubled the 20ft Noble Fir artificial garland so it would fit on the mantel and then layered it with light green tea leaves garland. They were held in place with the Catamount TwistTail Cable Ties. All it takes is a simple twist of the cable ties to break off the excess piece. 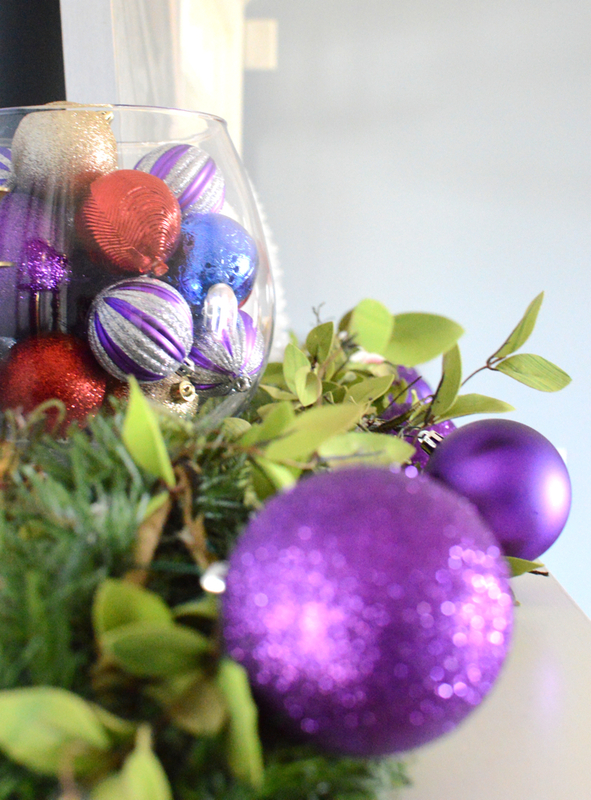 To add some color pop against the greenery, I added some purple shatter resistant ornaments held in place with these ornament hooks. I also added the same ornaments in a variety of colors to an apothecary jar that I placed on the mantel. I love the full look of the garland and the variation of greenery. 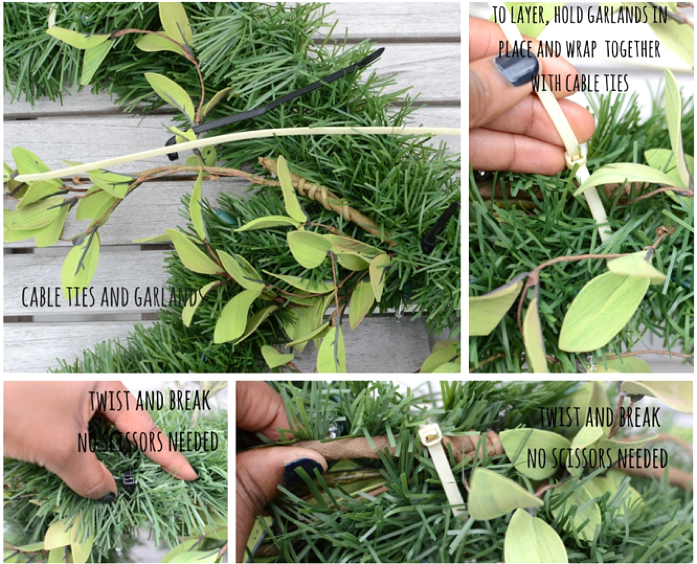 The cable ties are camouflaged by the greenery and the completed look is festive and party ready! 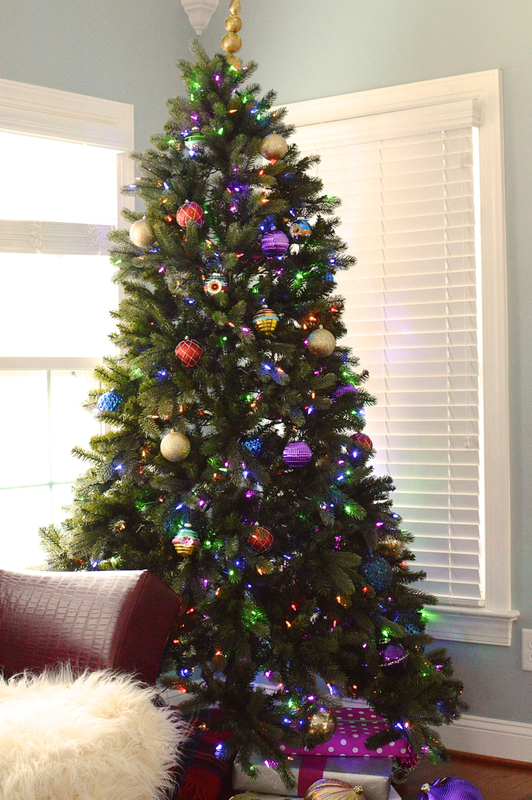 After putting up this 7.5 ft color changing tree from Martha Stewart, I added more of the gold, purple, red, and blue ornaments. The opening of the Martha Stewart glass tree topper was too small to fit on the tree, so I kept it in place with a Catamount cable tie. 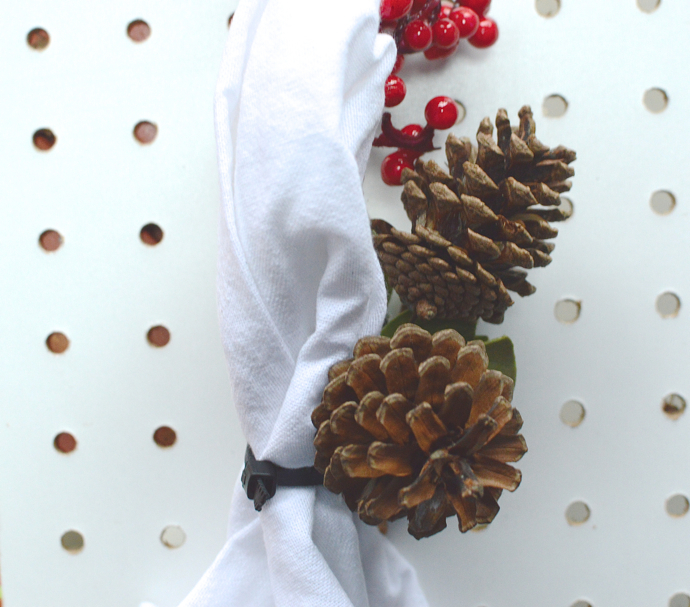 I borrowed some pinecones and berries from this wreath, added some greenery, then placed it all atop a white napkin. I used the black cable ties to hold everything together. 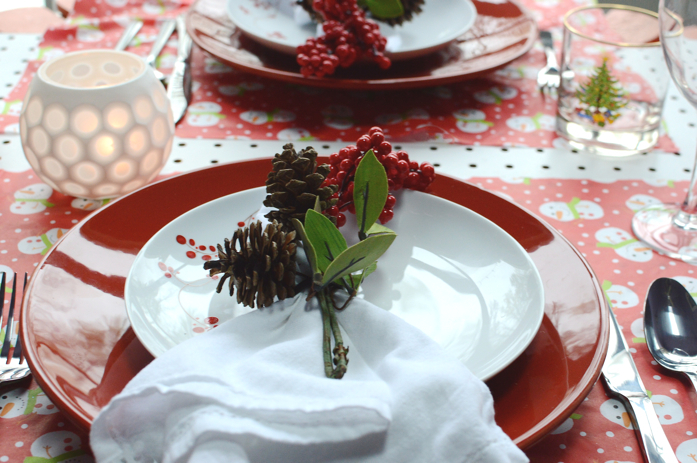 I broke off the excess and i ended up with a stylish and festive accessory for my place settings. This post was sponsored by The Home Depot, but the views and opinions expressed are my own. And I love that blue chair! Everything is just perfect just like you Stacey! I use cable ties all the time even for making my bows and tying up the garland unto my staircase! Great tip Stacey, everything looks beautiful!